It’s actually hard to imagine a more positive declaration on the economy than the monetary policy statement released by the Federal Open Market Committee on August 1. The opening paragraph speaks of strong growth, solid job gains, and strong growth in business and consumer spending, along with tame inflation. For good measure, it must be pointed out that the FOMC noted, “The stance of monetary policy remains accommodative…” While that certainly is true, it also should be pointed out that the Fed has been moving along with the process of gradually reining in the monetary base, which had exploded from August 2008 to September 2015, and with it an unprecedented expansion in bank reserves. From August 2017 to mid-July 2018, the monetary base declined from $3.9 trillion to $3.6 trillion, and bank reserves fell from $2.4 trillion to $2 trillion. Keep in mind that the monetary base stood at $875 billion in August 2008, rising to $4.2 trillion in September 2015. At the same time, bank reserves stood at a mere $11.7 billion in late August 2008, and skyrocketing to $2.8 trillion in mid-2014. From 2008 to at least 2015, the Federal Reserve fed uncertainty in the economy with its unheard of expansion in the monetary base. 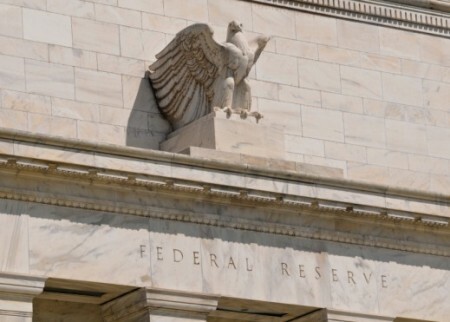 More recently, the Fed is working to reduce the Fed’s part in fostering economic uncertainty. The goal, of course, should be for the Fed to focus exclusively on price stability.